The head of Oceanus or Pontus, personification of the sea, rises from the water. 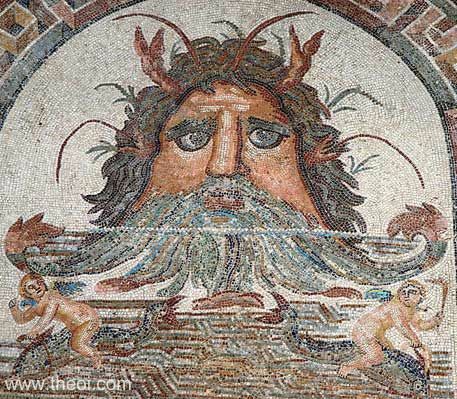 The god has a beard of ocean waves, sea-weed hair, and four pairs of lobster-claw and antennae "horns". Two winged Erotes (Roman Cupids) ride on the backs of fish below him.